A post from Expert Luke Briggs has really stuck with me. It has to do with emotional eating and the part that stuck with me the most is when he talks about Cravings vs Hunger. At first it resonated the most with eating (obviously) because I would go into a coffee shop and get a craving for something specific, I would then convince myself that it would be ok to eat it all the while it not supporting my goals. Luke talks about if you feel its a craving, wait a couple minutes without reacting to find out. If you are still “hungry” after 20 minutes… you are actually hungry. It’s that time of year when triathletes are finishing their season and transitioning to the off season. If you havent looked into structuring your off season, you should. If your off season consists of 3 months of no training and over 10lbs of weight gain, you are doing it wrong and putting yourself at major risk. Having a successful off season is critical for a number of reasons; injury prevention, mental health, and athlete longevity. Each year I have new athletes that are afraid to hang up their bikes or swim trunks for a couple months because they feel they will lose everything they’ve worked for, this is completely untrue. Trust me, I’m an experienced coach. If you keep pushing 12 months each year you will start to experience never ending overuse injuries, waves of low motivation, and lack of enjoyment for the sport you love. When you experience all of these symptoms, how can you expect to train at a level that will promote improvement? They wont. With a poor mentality you will fall into a poor training routine which will lead to a plateau of fitness. Doesn’t sound like much fun. Step 1: Take 1-2 weeks of minimal training. For my athletes, I call them “Free Days and Weeks”. These days consist of 30’ of swim, bike, run, or off day. There is no structure to the training. It gives them the freedom to relax. Step 2: Identify your weak link. Is it swimming? Is it running? October through December is meant for addressing your weakness. This is when you turn yourself into a single sport athlete. You are swimming 1-2x a week at 50% of your typical swim volume. You are also cycling 1-2x a week with minimal intensity or no cycling at all. The best Fall riding is to the bakery with friends. I was coaching our Triathlon Swim Class on Monday and one our swimmers is signed up for Ironman Wisconsin 2019. Looking at his stroke we identified that he lacked the ability to change speeds. We did multiple 50s at different speeds, but there wasn’t much of a difference between the three speeds. If an athlete wants to see improvement but cannot sprint, their ceiling of improvement is limited. For the upcoming months this swimmer will be focusing on sprinting in the pool with a lot of rest. Think of this work like lifting weights in a gym. If you constantly are doing the leg press machine at 100lbs for 12 repetitions but never increase the load of your exercise, your muscle recruitment will never be challenged. We will be doing the equivalent of 5 repetitions of 140lbs. The goal of doing fast 25s and 50s with equal rest is that it allows the athlete to produce more power than they ever have. 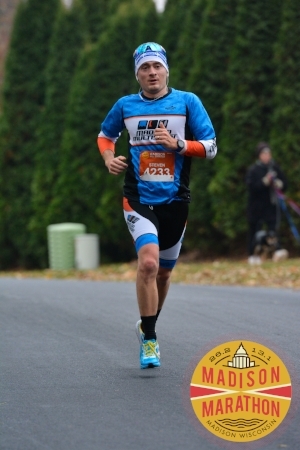 Here is an Ironman athlete learning how to sprint to improve their Ironman swim 12 months away. Doing long repeats at a slow pace in September won’t do you any good. Also, I have never met a triathlete who didn’t want to improve their running performance. The Fall is the best time to become a better runner. When I talk with my athletes about Fall training we always discuss going “All In” with the running. This means we are doing more run drills, more plyometrics, more bounding, and more running volume. We turn into runners. We throw on the short shorts. We sign up for local 5k running events. We run! Athletes love this approach because they can focus on one sport instead of trying to balance two other sports at the same level. Don't "just wing it." Develop your race strategy with these five elements. Going to the line without a race strategy is a common and detrimental mistake. Don’t be an athlete who says “I’m just gonna wing it.” Instead, take the time to develop your game plan. For context, I’ll use one of my athletes who has done an excellent job developing his race strategy. Here’s how we did it and how it can help you build yours. 1. Define your objective. Is your goal to finish the race? Are you trying to win your age group? Are you trying to qualify for Worlds? 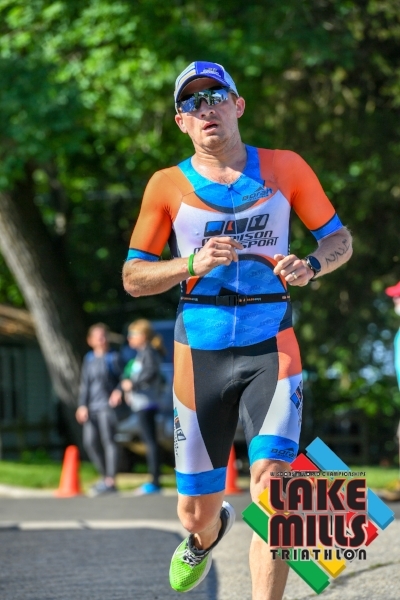 This athlete’s goal is to win a sprint or Olympic distance triathlon overall. He’s close. He has the talent and work ethic to do it. But the way he executes his strategy is going to play a major role in the outcome. 2. Set a realistic goal. If you’ve been running 8:30/mile for your long runs, it wouldn’t be the best idea for you to set a goal of 6:30/mile off the bike. Know what you’re capable of and build the strategy around it. In this case, swimming is not this athlete’s best discipline. The run is. His strategy isn’t to be the first out of the water. Instead, it’s his goal to stay on the leaders’ heals and set himself up for a solid bike and run. 3. Prepare split points and fueling. You should know where you need to be at certain points on the course in order to achieve your objective. The checkpoints should adaptable throughout the race, but there should be a specific outline of time and course markers to keep the strategy in play. 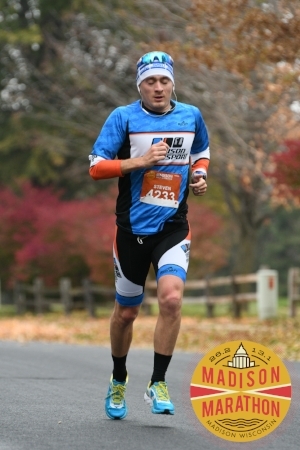 This athlete studies the courses and knows approximately where he should be at those points. 4. Prepare for all conditions. I’ve been at races where it was supposed to be 70* and it turned out to be 40*. Your race wardrobe should prepare you for every condition. This goes for your equipment as well. Last year we had a series of hot days that caused big swings in lake temperatures. A lot of races were not wet suit legal. Which means that you need open water practice with and without your wet suit. 5. Have a backup plan. We can all envision a perfect race, we all plan for it. But there needs to be a backup plan. This athlete has been plagued by GI issues. He has a specific mix of fuel to avoid it. What happens if he drops a bottle of fuel within the first 20 minutes of the ride? Although it’s not an ideal situation, he has practiced fueling with the products offered on course to minimize the loss. Countless hours go into planning and training for every race. Why wouldn’t you go into the race with something just as specific? Evaluate these five elements and set yourself up for success on race day. Reach out to me or Coach Steve if you want help planning your strategy. Race faster and endure longer without adding more miles: just train your brain. In college, my track coach introduced me to the concept of visualization training. I’ve been using this unique type of training ever since. You might feel a little silly at the start. But when you buy into the process, visualization provides a major benefit to your training. Find a quiet place without distractions and sit or lay comfortably. Consciously think about relaxing every muscle. Think about the best race you’ve ever had. Picture the course, the environment, how you felt, the spectators, overcoming every obstacle. Now picture your upcoming race. Imagine every detail from the time your alarm goes off to crossing the finish line. Visualizing the perfect race puts you in the moment and helps you develop your race strategy. Obviously, we all dream of the perfect race. But, what happens when that’s not reality? How are you going to react to the event? Crumble and quit? Or maintain composure and find a solution to the problem? I always end my visualizations with a few of the phrases I use when things get tough. For me, “you owe it to yourself” has the largest impact. When race day comes, I know that I need to get everything I can out of my body. I need to make the sacrifices and countless hours of training pay off. If you can remind your body what’s at stake, you will always walk away from a race knowing you left it all out on the course. Race fueling is something that should be practiced all season long. It’s something that shouldn’t just be thrown together randomly. You should have everything planned down to the milligrams of sodium. If there’s any question as to what you should be consuming, Coach Amanda and Steve can help you determine the proper breakdown of nutrients for every race. As you click off mile after mile don’t think about the person behind you, instead focus on your fueling plan and make sure you stick to it every aid station. There’s a handful of things you can’t control, flat tires, goggles getting kicked off, etc. But there are a series of things you can do to limit the likeness of those issues. Before I leave for the race I make sure my bike has been tuned and I’ve checked and rechecked my packing list (I’m a Type-A, it’s a pretty extensive checklist). When you get to the race, do a solid inspection of your bike. Lay out your equipment and arrange it according to when you’re going to use it in transition. Look at the event schedule and make sure you know what needs to be where are when. If you believe you can, you’re right. If you believe you can’t, you’re also right. You are in control of your attitude and it will have a direct effect on your performance. Over my 15+ years of competition and coaching, I’ve never seen someone put together an excellent performance without the right mentality from start to finish. Even if the race isn’t going your way, smile. Remind yourself you can. Give a volunteer a high-five. Ultimately, you’re in charge of your performance. So, stop worrying about what athlete is there, the type of training they did, Mother Nature or the course. The only things that matter are the things that you can control. Next Level Workout of the Week. Speed Work!